Namaste! May you have a healthy, blessed and abundant year ahead. What's New? Once a week I am crossing over to the "HOT" side. 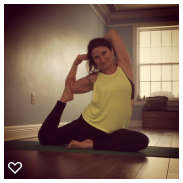 In addition to my current location in Halifax (155 Cresthaven Drive, Main floor), I will be teaching a HOT Hatha yoga class over the bridge and highway in Cole Harbour/Dartmouth. Please check out my latest yoga schedule down below. 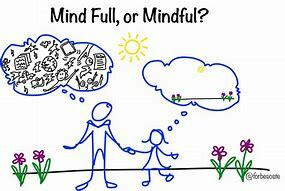 Have you set any goals to increase your mindfulness practice this year? Mindfulness means being present. Right here and now. We know that sadness, fear and anxiety tend to occur when we are focusing on the past or the future. When our mind is present, our thoughts tend to be calmer. A positive outlook on life also plays an important role. One could focus on a rock and think, "that rock is ugly". Alternatively, one could focus on a rock and think "that rock is a beautiful work of nature". Imagine focusing on the same rock and clearing your mind of all thinking. Too hard? Start with mindfulness and presence on your yoga mat :-). Give yourself a "timeout". Let go of any negative thinking and connect with your breath and body. Challenge: Can you meditate for at least 5 minutes every day? If you already have a meditation practice, set a goal to increase the length or frequency of it.